While some CIOs favor an integrated suite that requires fewer interfaces on the back end, others are functionality fanatics, happy to give the docs just about whatever they like best, as long as they promise to use the system they’ve chosen. Not surprisingly, CIOs who are also MDs — and thus have been on the user side — tend to fall into the functionality-first camp. One of those is Daniel Nigrin, M.D., SVP for IS & CIO, Children’s Hospital Boston. Nigrin took a very hands-off approach when affiliated physicians began their search for an ambulatory EMR. Their ultimate selection didn’t fall within his acute suite, but that’s just fine with him. 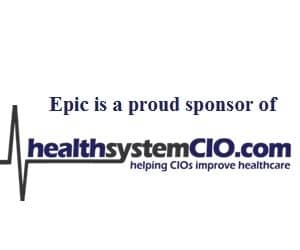 To learn more about his work at Children’s Hospital Boston — as well as that facilities designation as an elite HIMSS Analytics Stage 7 facility — healthsystemCIO.com editor Anthony Guerra recently caught up with the still practicing physician.